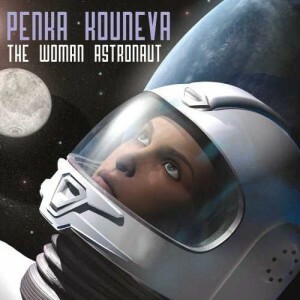 The Woman Astronaut is a Kickstarter-funded concept album by composer Penka Kouneva (Prince of Persia: Forgotten Sands), that musically portrays the journey of an astronaut, symbolically Kouneva herself, as she ventures away from her home. The album is divided up into three sections: “Origins,” “Flight School,” and “Space,” as each track tells a part of a larger, metaphorical odyssey through Kouneva’s unique instrumentation and intricate melodic motifs. The album begins with “Earth,” a DeVotchKa-like opening track featuring a light-hearted solo violin in a playful back-and-forth with the rest of the orchestra. As the piece continues, the solo becomes more and more ornamented, almost songlike in its whimsical variations. Although percussion is used in the track, it only accents the lower strings, which have a pulsing ostinato line accented on downbeats, to keep the piece structured. “Earth” is a wonderful opening track for the album – it’s not my favorite track in any way, but it’s refreshing, and starts the album on a strong note. The track that really pulled me into this album was “Land of Burning Fields.” After a gentle opening, in which the main theme of the piece is gently teased in quick, lower stings, the piece begins a rhythmic melody that steadily winds its way through the piece. While only a few notes are incorporated into the melody, it continues to develops as the piece eventually adds another melody line on top, one that is also first introduced at the beginning. The piece is quite exhilarating; my only complaint was the ending, which consists of a few bursts of a single note, and was a little disappointing after the intricacy of the melody preceding it. The following piece, “Looking Up,” has a completely different mood, much more rippling and shimmering – a solo violin runs through a series of scales that takes it all the way up to the highest registers, and easily jumps across octaves for breaks in the melody. There are two aspects of the album that most impress me; the first is how each piece plays into the one after it. Although the tracks have their own melodies, at no point does the album as a whole feel overwhelming in content. In fact, each melody works well with the surrounding melodies, sounding more like clever variations than new themes. “Starry Way” has a soothing compound meter and mildly John Williams-style melody. At the end, every other set of eighth notes is accented by a choir that adds to the meter and increases the scale of the melody. The melody is not clearly addressed again in the album, and is not present at all in the first track, but works extremely well where it is. The other aspect of the album that I love is the combination of orchestral and electronic techniques blending seamlessly together in several of the tracks. 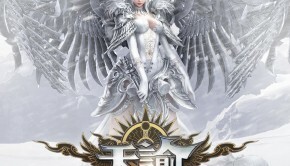 “Training,” the first track of the “Flight School” section of the album, is one such track that features a distorted piano melody heavily processed through several VSTs. This track also has one of those amazing melodies that works so well in the album; at some points, it feels like a continuation of previous melodies, but actually works amazingly well on its own. Indeed, “Training” quickly became another one of my favorite tracks; particularly after listening to it a few times, the piece is an extremely uplifting one, and more complete than I thought it sounded at the beginning. It has all the setup of a kind of filler piece, but it’s so satisfactory to listen to on its own. 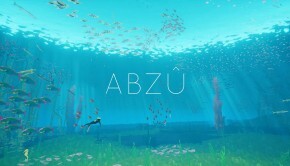 The electronic sounds last throughout the piece, and give it an even more unique feel than the other pieces on the album The ending features a series of downward electric glissandos that make me miss the piece as soon as it’s over. “Taking Flight” features a beautiful oboe melody that expands into a sweeping, orchestral piece. The piece swells as it continues, becoming grander with each iteration of the melody, and while the electronics are much more subtle in this track than in others, they are still present, softly running along the basslines. “Alarm and Rescue” is much more upbeat, with a more prominent series of electronics that keep the piece constantly moving, even when the melodies and harmonies are drawn out over half and whole notes. I thoroughly enjoyed Kouneva’s use of electronics in this track in particular – it is mixed extraordinarily well with the orchestra, and is able to hold its own against the instruments, instead of simply being an avant-garde backdrop. “Insomnia,” one of the tracks on the “Space” category, is a fantastically unsettling track using string slides, glissandos, and half-steps to give a lack of certainty to the listener. The piece is occasionally tonal, occasionally atonal (before suddenly ending on a surprise tonic chord), mostly rhythmic (except for the parts where it’s really not), and extremely slippery to listen to. It was difficult for me to pin down exactly where the piece was going at any given point; it’s not until the melody repeats for the first time that I understood it was the melody, and when the piece quickly expands to a larger orchestra at the end, the deceptive cadences are welcome, familiar musical deceptions. “Insomnia” ends with a sudden vanishing of the orchestra and a fade-out electronic ostinato. I thoroughly enjoyed the entire piece. The album ends with “Solar Flare,” a dramatic, looming track, complete with apocalyptic choir and chromatic scales (and a melody sounds a little like Mordor’s theme in The Lord of the Rings). Like the first track, it wasn’t my favorite, but it played its role well in the album. It’s very finite, resolute, and powerful, and brings the journey that the album has taken us on to an abrupt end. I enjoyed The Woman Astronaut, especially after listening to it more closely. Many of the themes are more subtle than they appear upon first listening to them, and the story really becomes more audible after deeper inspection. The album as a whole is a powerful listening experience, and is wonderfully crafted to create a complex and intricate series of themes on a wide variety of instrumentation and electronica. The Woman Astronaut is available for purchase on Varese Sarabande. Posted on September 26, 2015 by Emily McMillan. Last modified on October 1, 2015.